Last night...Red-eye to Atlanta. Tonight I'm flying to Lagos. I'll be bringing in the New Year as I fly toward Africa on another adventure. Wherever you are bringing in the New Year in, enjoy! 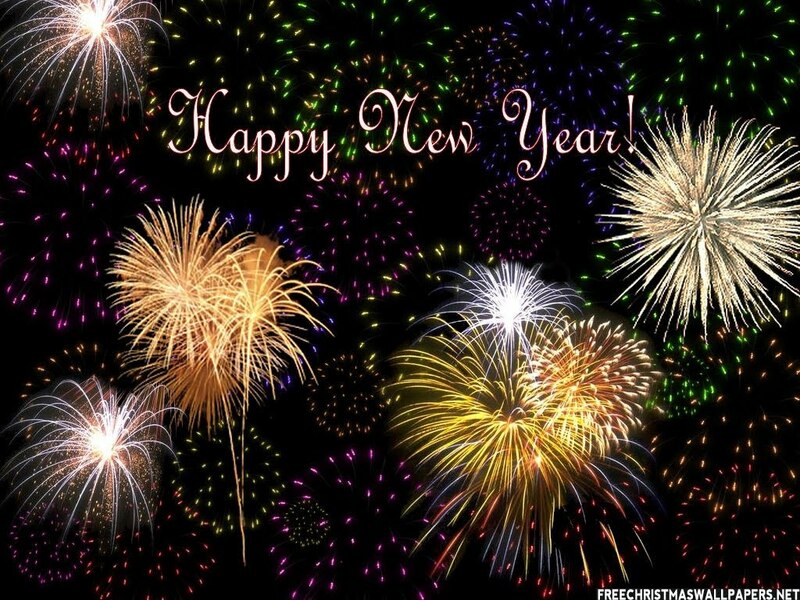 Health, Happiness, and Success in the New Year! and be exactly as you envisioned. 2012 is going to be the best! Today’s Friday Flyer may not be a pilot, but she has spread her wings and is flying strong. More than flying, she is soaring to new heights. We're having a little birthday party today, and Heather is our guest of honor. Since I write the blog… I make the rules. And today it’s time to celebrate one of our earthbound angels. Besides... angles have wings! This angel gives to everyone she meets. 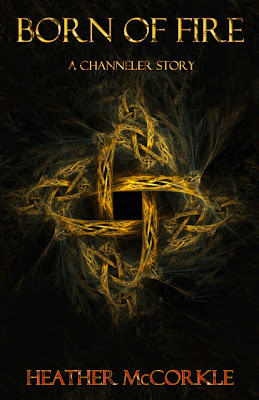 Heather is an author, works in a prison, commutes a great distance daily, cares for her horses and cats, writes two blogs: Critique Sisters Corner with Linda and I, and her personal Blog Heather McCorkle. She supports and encourages other writers... I think she said that she reads 150 blogs a week. And she's writing books! Amazing. Does she have time to party? Get the chocolate out! This Holiday Heather and her husband, Edd, joined us for a Seattle visit. Heather joined the WNBA, and flew in for our holiday meeting and a book signing. Her dedication and talent will carry her far. Oh yes...as will her wings. Did I forget to mention that Heather recently started a business? Where she designs covers and promotional materials for authors! Heather’s YA novel, The Secret Of Spruce Knoll, has recently been released as a “special” edition from Compass Press. The special part of this release is that between now and 12-12-2012 a percentage of the proceeds from every special edition sold (any format) will go toward Heather’s favorite charity to protect endangered species. Her goal: To make at least $10,000 for the charity. For those who have yet to read her novel, here is a taste of what you can expect. Following the tragic death of her parents, Eren Donovan moves to Spruce Knoll to live with her aunt. Little does Eren know the entire town of Spruce Knoll is filled with channelers—a magical group of people who immigrated to the small Colorado town when they were driven out of their own lands. Channelers are tied to the fate of the world. As the world slowly dies, so do they~and they alone have the power to stop the destruction of Earth. Now, Eren learns she not only lives among them, but she is one. When she meets local boy Aiden, who shows her being a channeler isn’t all bad. As Eren and Aiden’s relationship blooms, so does a mystery in Spruce Knoll. The town holds many secrets—and many enemies. It soon becomes apparent that the untimely death of Eren’s parents was no accident and that her life might be in danger, too. Only time will tell if Eren has the power to protect the people she has come to love. 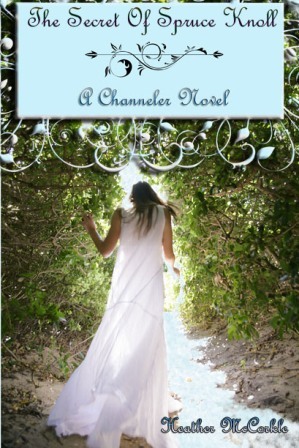 Heathers second novel, Channeler's Choice, will be released February 27, 2012… and the third in the series is just around the corner. But she has a surprise brewing. It's a short channeler story, Born Of Fire, that gives you insight into Aiden's history and character that you won't find anywhere else. Please join me in wishing Heather the greatest success with her books and the Happiest Birthday Ever! I know you will meet all your goals for the New Year, Heather! We hope you and Edd come and Join us in Seattle again soon! Enjoy the Journey! And celebrate your day. You deserve it. While it may not be likely, a friend of mine did a zero flap landing on his first flight as a captain on this plane. I always say... never say never. If both flaps and slats wingtip brakes activate, a zero flap/slat approach and landing is required. The message is: F/CTL FLAPS LOCKED and F/CTL SLATS LOCKED. These two separate problems leave you with a clean wing. This, too, is a dual malfunction. But you won't find a procedure in your quick reference manual. Why? The probability of "never" is taken into account. But it's important to note that in this situation the flight controls will degrade to Alternate Law. Among other reasons...look for the X's on the PFD. The interesting thing about these flap and slat failures is that while we don’t have flaps or slats, we still must "position" the flap handle as if we did. The flap handle is used to compute the speeds on the speed tape. Where as the position of the flaps themselves are used to depict the speeds on the ECAM. Thus, ECAM speeds are correct per position of the flaps (up)—But the speed tape is not. In the Boeing aircraft we had a button to push to execute the go-around. In the Airbus we use thrust lever position to TOGA. But how does the plane know? What if we needed TOGA thrust but we aren't performing a go-around? In the event of a Go-Around, the Airbus won’t transition to the Go-Around phase unless the flap lever is in, at least, position 1. Airbus logic is such that if we’re applying TOGA power during an approach (flaps out)—we're telling the airplane to go-around. There is no button pushing. If flaps are up, you only get TOGA thrust and the plane stays locked on the localizer and glideslope. Systems knowledge is essential, especially in the modern planes… despite the shift in focus. A future threat to aviation includes advanced technology and what happens when it breaks. Will the pilots know what to do if they are faced with flying their plane when they lose their automation, without the systems knowledge to back it up? What are your thoughts? Dr. Larry, last I received a question about colorblindness. It appears everything in aviation is tied to color. Is it possible to fly if a person is colorblind? Is it possible for someone with normal site to become color blind later in life? Color blindness can be an issue if one wishes to hold a first or second class medical, or does not wish to be limited by the inability to fly at night with a third class medical. However, depending upon the “degree” or intensity of color blindness, one can obtain a medical waiver that says they are good to go if they pass certain criteria. but it doesn’t say what is necessary if one fails the AME or eye doctor tests. To read the official and lengthy FAA standards paper which goes into all the reasons and requirements when one is color blind click HERE. People can become color blind over time. I used to not think so but it’s true. I believe it’s more common for it to happen when someone is borderline, kind of like color carpets fading in sunlight over time. The take away message from this is, if one is borderline and struggles with passing the color vision test, perhaps it’s best to try to obtain a permanent waiver early on because they will otherwise be tested every exam for the rest of their lives, and to not pass it in older years could have significant impacts. One of the differences between “old” Boeing and the Airbus include how to manage approaches. The good old days, in the Boeing, I remember flying a VOR approach. An ILS. A NDB. A localizer—oh wait, the localizer was actually an ILS with the glideslope inop. But times they have changed. While the new Boeing aircraft have changed with the times too...today, it’s all about the Bus. The confusion is actually in the terminology. Flying them is simple. There are "two" types of approaches: LOC NAV and APP NAV. The thing to remember is that Airbus approaches are all “NAV” approaches. They also must be contained in the database— LOC NAV and APPR NAV. LOC NAV includes the LOC, LOC B/C, and the LDA without a glideslope. Remember... if you're going to fly a LOC approach, you need the "LOC" approach in the data base. Not the ILS. The LOC NAV approach is just that… a localizer. There is no mystery with this approach. The approach uses the localizer signal for lateral navigation and we fly the vertical path. The question is… how do we get her to descend? The answer… Follow the "donut"— the magenta circle that provides guidance on the vertical path. The approach chart displays the FPA (Flight Path Angle). We set that number on the FCU, and pull the FPA knob when it’s time to descend, adjusting as necessary. When setting the altitude in the FCU, set the rounded up MDA. This prevents the ALT * problem during the descent and her trying to level off early. The autopilot doesn’t disconnect at 50 feet—you have to do it. To avoid nuisance glideslope warnings, you’ll want to disengage the system by pressing the GPWS G/S MODE button. The APP NAV is a little more complicated to remember what approach this belongs to, but a whole lot easier to fly. It’s just like flying an ILS. Why is it complicated to remember? It's not really. Just the terminology. APPR NAV includes, the NDB, VOR, and RNAV approaches—one approach is all encompassing...perhaps its so simple it gets confusing? The approach NAV captures a glide “path” that is represented by a magenta brick. Somewhat like a glideslope. The blue descent arrow, on the ND—(FINAL APP) indicates where the brick will intercept the path. There are always rules and this one is important—you must see FINAL APP on the FMA before descending below the FAF altitude. That makes sense. You’re not going to fly the approach if the system isn’t working. There is no need to set the MDA in the FCU and round up because once the brick is captured, it’s locked on, and won’t ALT * and level off prematurely. The autopilot will automatically disconnect at 50 feet below the MDA. Tonight I’ll be practicing these approaches and more. Anything you’d like to know… leave me a comment, and if I don’t know the answer, I’ll find out tonight. And remember... these are the good old days. - that are required to get me there." I am headed to Minneapolis today for recurrent training. Sim time 1800 on the 27th and 28th. Watch me strive courageously toward success and embrace the discipline to study without getting on my computer for the next two days ... exactly what I need for success. From my family to yours, we hope you had a wonderful Christmas! Aisling is sixteen years old and growing up in a small town in West Ireland. She’s in her fourth year at the local secondary school, and will graduate... sitting her Leaving Certificate... in 2013. Her future: To become an airline pilot. This year my holiday wish is that Aisling will find the means to achieve her dream of becoming a pilot. She is one dedicated young lady who is focused and flying open throttle toward her dreams. I know she will achieve whatever she sets her heart to... and her heart is in the sky. Karlene: Sixteen years old and you already know what you want to do, and are going after it full speed. Have you always wanted to fly? Aisling: One of my earliest memories is being questioned what my future career would be. I automatically answered that I would be a Garda (police force) as my Mam and Dad had already followed that route. During the past two years I have found myself being interrogated and challenged about my career, only to stumble and exclaim "I don't know what I would like to do". The truth is that I do know what I want to do, I am going to be a pilot. Karlene: How in the world did you decided to become a pilot? Aisling: The thought of being a pilot has been whizzing around in my head since the age of six, when I was brought on my first holiday. It was a short hop from Dublin to Edinburgh, but Ryanair has seemed to leave a lasting impression on me. While in the apartment, I remember staring out the window watching the vast amount of different liveries as they descended to the threshold. I remember the feeling of excitement distinctly, what an amazing job it would be to be a pilot. Karlene: Six-years-old is very young to think about flying. You wanted to become a pilot, but earlier you said you didn’t know until a year ago. What happened in between that time? Aisling: My interest in aviation was developed even further when I took my first trip to America in 2004 at the age of seven. I stood mesmerized by this big bird with a bright green Shamrock staring me back in the face at Shannon Airport. We landed in Boston, and I felt a sense of reluctance leaving the aircraft. Although I continued to fly to Boston every year, my interest somewhat diminished. I dismissed the idea of being a pilot because I believed there were no women pilots. Karlene: I think that used to be a common misconception among young ladies. So what happened? Aisling: In 2009 my dream resurfaced as I again headed for Shannon Airport. My sense of excitement flourished as my teeth began to chatter walking through the entrance. I found myself reading a page on Wikipedia about the Airbus A330 family unknown to myself. I was so engulfed that I almost missed the boarding call and we had to rush to the gate! I started out the window, as if this was a dream and I never wanted it to end. This was the beginning. Karlene: It was just the beginning, and that fire has been burning since. You even had a chance to go into the flight deck. Can you tell us about that visit? Aisling: In 2011, I anticipated my transatlantic flight from the moment I pressed the "Book Now" button on the Aer Lingus website. I recited my lines for the month before I took my holiday convincing myself that I wasn't going to fail. I set up a Twitter account and followed other aviators, including you. You were my inspiration. You were the first women pilot that I had discovered, and your homely feeling made me think "I can do this". The aircraft emptied and I headed through the cabin where I was greeted by the senior flight attendant. My hands were shaking and my voice was quivering. She looked in to the cockpit and said, "go ahead", as if this was no big deal. I gasped as I stared at the astonishing amount of circuit breakers and EICAS systems. I felt an amazing rush of adrenalin flood my body. This was where I was meant to be. Karlene: I know that feeling the first time I walked in the flight deck too. I am so glad we met on twitter, and you now know that women can fly planes. Tell our readers what else you’ve been doing to pursue your dream. Aisling: Since that day, I have established a great knowledge of aviation. I have spent two days at the local Air Traffic Control tower where I acquired information about communications and the flight school. Aviation makes up a major part of my life now, after all I intend to make it my future career. I recently spent a week at Shannon Aerospace, a maintenance facility at Shannon Airport. Most of my time was spent with the Electronics & Avionics team, where I gained a lot of useful information about the different systems on board an aircraft. I was shown an aircraft engine in detail, and I seized the opportunity to do some work on them including observing an engine being "dropped". Karlene: What was the most inspiring thing you did at the maintenance facility? Aisling: During my work experience, every chance that presented itself I was to be found in the cockpit of the 767. While on my own up front, I discovered that it is where I want to spend the rest of life. I felt on top of the world sitting in the both seats, as if no other seat will ever match these feelings of perplexity. Karlene: What else have you been doing to prepare yourself, for your career in aviation? Aisling: I have used the best tool available to me, the Internet to research my future career. I have read hopeful articles and dismissive articles, but my ambition is now at its strongest point. I am adamant to prove the doubters wrong and the believers right. I am more determined than ever, and I will continue to persevere to make my dream come true. Unfortunately, my family are not flourished with money so I must develop a rigorous saving scheme, but I am willing to do anything to fulfill my dream. I know that I must make sacrifices along the way but I have promised myself to be compliant. It is still a fantasy for me to think that it is possible to fly a plane and be responsible for delivering great flights to returning customers, it feels as if it is all to good to be true. I pay attention to the flight radar and when I see a plane approaching my district I dash outside with my binoculars to see the livery and distinguish the type, along with imagining the controls being inputted into the autopilot system. I must attain my dream of being an airline pilot to reach self-actualization. I am fully committed to making my fantasy a reality. Karlene: Does your family support your dreams? Aisling: I live with my Nan, who has always persuaded me to pursue my dream no matter what obstacles get in the way. I love my family configuration and I would not be content to have it any other way. Growing up I was predominantly subject to a male environment between my home and the immense amount of sports I play. I often enjoyed spending time with the lads playing football out on the school pitch, and I guess their vibes have passed on to me. 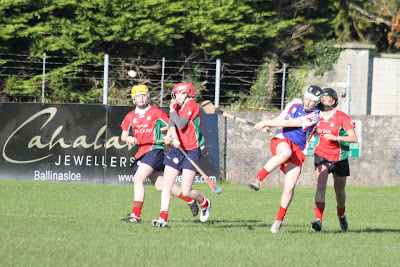 Sports was and is my life, there is not a weekend where I am not gone playing camogie or gaelic football to some destination in Ireland. Karlene: Aisling, your Nan is a wise woman. I have no doubt you will make your dreams come true. You’re motivated, inspired and dedicated—you have passion and aren’t afraid of hard work. Keep in touch and keep dreaming... they are all within your reach. It's that time of year when we visit the kids at Seattle's Children's Hospital. Pilots for kids is a group of pilots that visit the children who are the hospital during the holiday months. Today we made some little bodies smile, and I recruited a couple future pilots, too. "This is where the picture of a cute little girl, holding her cockpit panel poster with her ladybug pillow pet. But I was just notified I cannot post it unless I had written permission. Her mother had said it was alright, but I didn't know the written rule part. She was a doll. Next time I'll know better." Pilot Bryan and his wife Lisa even drove up from Portland to attend. That's dedication of giving of yourself during the holidays. Thank you both for making the drive. It's a good thing my fellow pilots do each year, and I'm fortunate to have the ability to join them. Happy Holidays everyone. Thank you for the support of the children. And today is the day we are announcing the Holiday Gift Winners. Click HERE to find out if you're on the list. Then email me your snail mail address so we can get your prizes to you. Merry Christmas and a wonderful holiday season. Last week you spoke of distraction and the holidays. Despite the holidays, what about the distraction of airline life—Mergers, acquisitions, pay cuts, furloughs, seniority loss, loss of pensions…the list goes on. Does an AME have the ability to assess the mental health of a pilot in mental turmoil? I know that pilots can now take Prozac, but is that a long-term solution or should they take themselves off the flight line and sort out the problems. Nothing will change externally; it must be an internal solution. What’s the best way to get rid of the anger that airline life didn’t turn out like we’d planned? Karlene, there will always be financial issues which come up at work, pulling at our pockets, hearts and egos. It's not unique to the airline industry. Look at the economy and the unemployment rate the past couple of years and it's easy to see how these challenges affect everyone to varying degrees. Hundreds of books and theories have been put forward regarding why these issues affect some people more than others and it's beyond the scope of this post to review those reasons. What matters is having tools in our personal toolbox to use which can pull us out of the pits when issues affect us in ways that inhibit our motivation, our joy to live and our ability to interact with others. Sometimes the pit can be so deep that our best tools aren't enough. In those situations, medications which help the neuro-chemical imbalance in our brains like Prozac or St. John's Wort, may be beneficial. It's challenging as an AME to assess the mental health of pilots. Pilots tend to be on their best behavior when visiting their AME for fear of being grounded. They’ll avoid emotional conversation and put on their best face. They open up and asked for help only when they are ready to deal with the issues, not unlike the majority of people. Combined with the fear of losing one's income or joy and is easy to understand why emotions are stuffed. In this unhealthy scenario, action only becomes viable when a crisis mode is reached, and much like buying a car when we have to, it’s not the best time for logical and non-emotional reactions. I don't believe there is one best way to displace anger that works for everyone. Talk therapy with a friend or counselor, is not always necessary but can be extremely helpful more often than not. Without understanding the root cause for the anger, the intense feelings are likely to continue. Removing oneself from the cause via a low-cost vacation, sabbatical, or period of sick days can lower the burn rate. Whatever hostilities are present are likely to be enhanced without exercise and rest as we previously discussed. Foods high in carbohydrates, refined sugars and diet sodas can affect our hormones in negative ways as well. The tools we need help us change what we can rather than what we cannot. In the end, anger is a defensive reaction. Preparing an offensive strategy in both mind and body, we can weather the onslaught of those inevitable challenges which will continue to come at us on a regular basis. 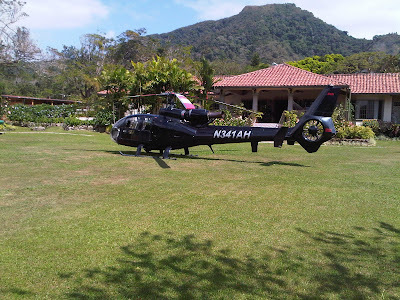 Altimeter errors are greatest when flying over mountainous terrain. Olympics from the space needle. "What are those mountains doing in the clouds?" 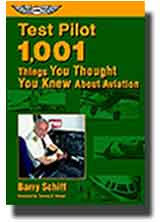 For all those who commented, you will be entered into the contest to win a copy of Barry Schiff’s book, Test Pilot, 1001 Things You thought you Knew about Aviation. Check out all the exciting prizes that will given away on the 22nd by clicking HERE. You still have time to enter. Answer: Wind flowing over and around mountains results in a venturi effect much like air flowing over a wing. 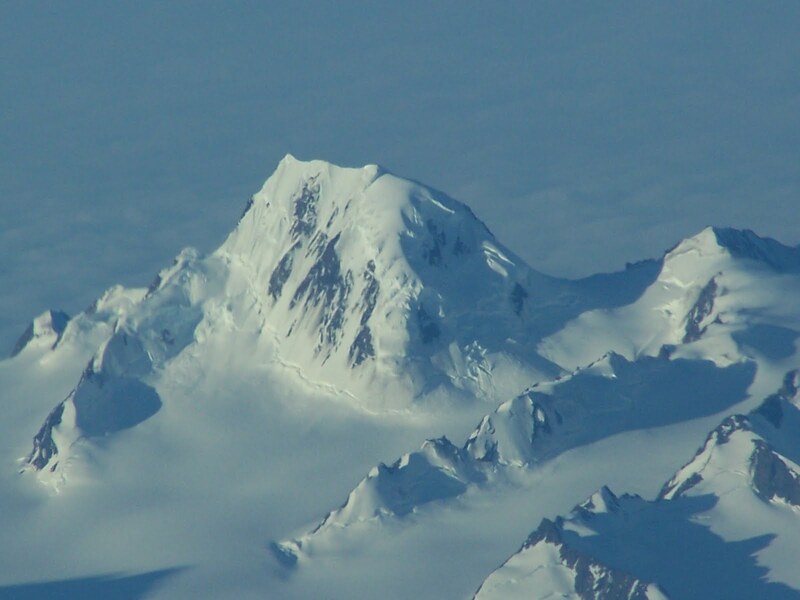 This causes wind speed to increase and (static) pressure to decrease, which can cause indicated altitude to be significantly greater than true altitude. Monday Motivation: Decide and Get It! Last Friday Jun Nishioka flew in to Seattle to stay with us for four days, on his way to Vero Beach Florida to become a pilot. Despite the Japanese government not allowing him to attend their aviation program of his eyesight not being 20/20 without corrected lenses, Jun is still pursuing his dream to fly. He decided what he was going to do, and he’s doing it. There will always be reasons, obstacles, and people telling you that you can’t do something. Or the visibility is too low to fly and kids to babysit on the beautiful day. The point is, it's up to you to decide if you want it badly enough to pursue whatever it is. It's only the things you have to work the hardest for, are the same things worth having. Be careful for what you ask… you might just get it! On his way to Florida, Jun got to visit my life with the holiday craziness of the remodel, grandkids, and lots of busy running around. We managed to sneak in a few surprises for him too. Saturday was a quick visit to Seattle and the Aquarium with two of the grandkids. The weather was beautiful. Sunday we visited the Renton Airport, and Austin had planned on taking Jun up as a surprise in his floatplane ~ Thank you Austin! But the weather had dropped below VFR. Instead, Shad took Jun on a flight in BEFA's new simulator and Austin gave him a ground lesson sitting in the plane. What have you decided to do, today? Don't wait for tomorrow... it never comes. For all those who commented, you will be entered into the contest to win a copy of Barry Schiff’s book, Test Pilot, 1001 Things You thought you Knew about Aviation. Drawing to be held December 22nd. Yesterday we visited HangarChat—aviation's fastest growing social/connection network, and today we get to know a little more about the man behind the vision. At forty years old, Adam Miller has been flying for only twelve years, but you’d never know it by his great accomplishments. 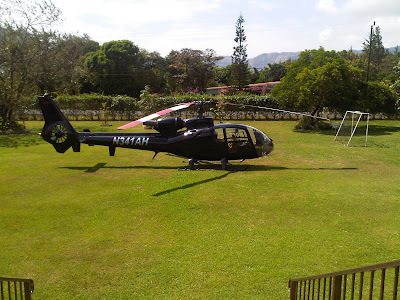 He’s a commercial helicopter pilot who’s typed rated in the Astar, Jetranger, Hughes 500, Gazelle, and B0105. 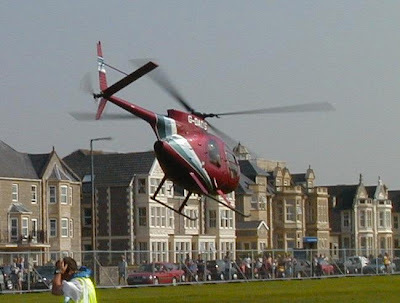 Click HERE to read more about Adam’s Eurocopter BO105: History of the HangarChat.com Helicopter. He started flying in 1999 after a friend of his was given a flight lesson (in an airplane) for Christmas, and it reignited something in Adam that he’d wanted to do for a long time. He’d always wanted to fly, but it took him another twenty years to take a trial helicopter lesson and then he was hooked. He started flying in the Robinsons and then moved onto the JetRanger, Hughes 500, Gazelle and Astar. Adam then shifted to flying airplanes and owned a Cessna 340 for a few years before he moved back to the Gazelle. Once back in the Gazelle, he took a trip down to Central America for about a year. What a dream life. After Panama, Adam started flying the BO105, which was his first twin helicopter. Adam, thank you for bringing HangarChat to the aviation community. I know you’ve got something great going here…keep up the great work! Imagine hanging out at the airport chatting with the local pilots. Then expand that thought to chatting with pilots around the world. HangarChat, at Hangarchat.com, is aviations fastest growing social connection network. Think of Facebook meets LinkedIn, but just for Aviation. 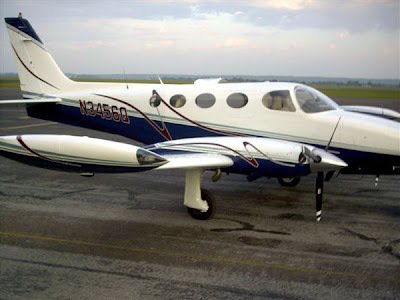 HangarChat.com allows pilots and aviation enthusiasts to connect to each other and share their passion of flight via experiences, photos and videos. The site has been designed by pilots for pilots, and is a place to enable all aviators to meet and stay in touch with people who share and understand what it feels like to be a pilot, or part of something bigger than life ... Aviation. HangarChat is a global community powered by the passion of flight. Whether you’re a career pilot, private pilot or just fascinated by flying there is no other place to share the joys of aviation. Launched in 2010, by Adam Miller and Nick Miles, HangarChat has grown at a tremendous rate because people who love to fly, love to talk about flying. Adam Miller and Nick Miles developed the idea after their flying adventures across the USA and Central America. Nick—who has just started to learn to fly fixed wing after hours in the cockpit of Gazelles and BO105’s—wanted to talk to other students and get another point of view from other instructors. His friends on Facebook were mostly non-aviators and didn’t understand his fascination. HangarChat is somewhere we can keep our photos and videos, and stay in touch with the people we meet during our aviation journeys. We even have the ability to join and set up communities for our local airports. HangarChat seriously has something for every pilot. Today I uploaded some of my photos… it was easy. I clicked on those I wanted to upload and one additional click they all uploaded at once. I found a group called Airline Pilots...for all you want to do this for a career. I also created a group called Aviation Safety… a proactive group for those interested in keeping our industry safe. That took about 30 seconds, and now I’m awaiting approval. There are currently 126 groups to choose from, and 1626 members. Pilots, and aviation enthusiasts, from all forms of flight, from helicopters and airplanes to gliders and balloons are welcome. Non pilots... mechanics, engineers, controllers, flight schools, FBO's, etc., are welcome. HangarChat has so much to offer whether you are a pilot, instructor, flying club, student or a business involved in aviation. MOM, WOWA, Renton Airport ... you must join! Victoria, this a great place to post your fly it forward event. And for my friends who want to become pilots... join my group for Commercial Airline Pilots. Join HangarChat today to connect to share your passion of flight. I did. You’ll love it! Enjoy the Journey! And take time to share it. Charlie Hewitt: Friday Fabulous Flyer!